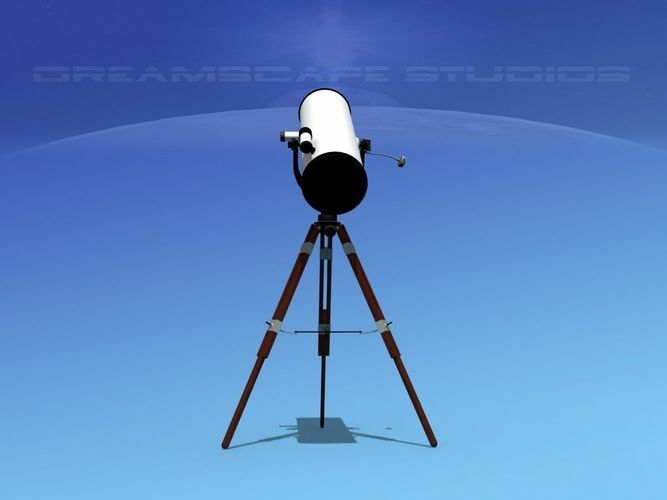 The model comes with several animateable parts including focus, telescoping adjustments and the rotatable controls, the telescope can be aimed and used in animations. This model comes in several different formats all ready for your immediate downloading and use. Materials and textures are included as shown. No helpers or software add on were used allowing you to take this model where you would like to in rendering quality. The reflector telescope is a very popular home, office, or hobby telescope. They are often used as hobby and study equipment for the student or professor or scientist. They are often found in offices and other rooms as an accessory of furnishings.